The story of twin brothers Jacob and Esau, or Israel and Edom, represents a major portion of the patriarchal narratives in Genesis. St. Paul returns to this story in his Epistle to the Romans, chapters 9 through 11 in answering a particular situation in the life of the Roman church. This major passage, separated from its original context in the Epistle to the Romans, the New Testament, and the scriptures as a whole, as well as from its historical context, has become one of the primary bases for an entire stream of Western thought regarding election and its relationship to the salvation of the human person. 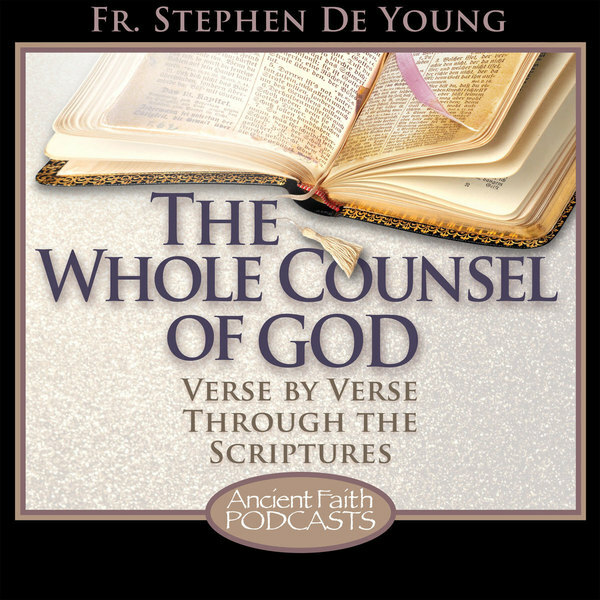 In order to properly understand what St. Paul is teaching in the Epistle to the Romans, his words must be understood within that historical context. Possibly even more importantly, however, St. Paul assumes that the hearers of his epistle are thoroughly familiar with the story of Jacob and Esau, as it was one of the stories which formed the groundwork for the religious life of the communities to which he wrote. This story of the forebear from which Israel received its name is not just a brief example thrown out by the Apostle in Romans 9 and then abandoned for speculative theology. Rather, St. Paul brings the story to his hearers’ mind as he begins because his entire argument in these chapters is based on applying the experience of Jacob and Esau, Israel and Edom, to the present situation in the life of the Roman church. It must be remembered that the Epistle to the Romans, like all of St. Paul’s letters, is an occasional document. St. Paul did not sit down to write a theological or philosophical treatise. Such things existed in the ancient world, but they followed a different format and genre. Rather, St. Paul writes this letter to the church in Rome, even though at this point in his life he had not been there in person, to address particular issues that were facing that community. This is important for interpretation because St. Paul’s argument in any part of the letter is not merely a series of musings or asides on various topics, but is directed purposefully toward what is happening in the lives of real people. Specifically, the church in Rome had been convulsed by recent political events in the city of Rome, surrounding the expulsion of the Jews from the city by the emperor Claudius in the late-40’s AD. This event is reflected elsewhere in the scriptures, in Acts 18:2, in which St. Paul meets Ss. Priscilla and Aquila in Corinth, where they are said to have journeyed from Rome because of this expulsion. The Jewish people had been expelled from the city at least twice before, once in the Republican period, and once by Tiberius. These expulsions had various precipitating causes. The two most common were either ‘Judaizing’, attempting to attract Romans to the Jewish way of life, or failure to worship the Roman gods resulting in some misfortune. In the case of Claudius, from the very beginning of his reign as emperor, there had been issues of public disturbance surrounding the Jewish communities in Rome as the Jewish community had come to such a significant size that its internal issues began to affect the overall peace and good order of the city. According to Cassius Dio, in 41 AD, based on these issues, Claudius had issued an edict banning synagogue meetings in an effort to keep the peace. Several years later, this had clearly failed. Suetonius tells us that by the late 40’s, the Jewish community of Rome ‘never stopped causing civil disturbances at the goading of Chrestus’. This led to Claudius taking the further step of expelling the Jewish community from the city, literally driving them out. It is conjectured that the mention of this ‘Chrestus’ may actually be Suetonius misunderstanding the preaching of Christ in the city, and so these civil disturbances were occurring between members of the Jewish community who did not accept Jesus as the Messiah and early Christians. There is not nearly enough historical evidence to know this for certain, however. This expulsion lasted for some years before the Jewish people were allowed to return to the city. The expulsion had a direct affect on the Christian community there, as at this time in history, barely 15 years after the conversion of St. Paul, Christian communities were Jewish communities of a particular type. There had not yet been near enough time for there to be two separate religions, Christianity and Judaism. Rather, there were members of the Jewish community who had embraced Jesus as the Messiah, and those who had not. Often, these people attended the same synagogues on the sabbath. Those members of that community who were Christians, then, had their own additional meeting, to celebrate the Eucharist, on the first day of the week, the Lord’s day. Not all of the members of the Christian part of the community, however, were ethnically or religiously Jewish in background. Seen throughout the narrative portion of the New Testament are Gentiles referred to as “God-fearers” or proselytes. There was, in the Roman Empire during this period, a certain fascination with the Jewish way of life and worship. This led many Greeks, Romans, and others to learn about the Jewish scriptures, available to them in Greek translation, and to attend synagogue gatherings on the sabbath. Very few of these Gentiles were willing to fully embrace Judaism through circumcision and fully practicing the Jewish way of life, often due to the sacrifices it would require in terms of social status within the Roman Empire. Many of these God-fearers who had been at the edges of the Jewish community embraced Jesus as the Messiah when they heard the Gospel, and became Christians. The crisis reflected in the Acts of the Apostles and Galatians surrounds the willingness of St. Paul and the apostolic church to receive these believers fully into the Christian community without requiring them to first join the larger Jewish community through circumcision and obedience to the Jewish way of life. Nevertheless, the Gentile believers were brought into a particular type of Jewish community, namely a Christian assembly, and were well versed in the scriptures and worship of that community. The end of Claudius’ expulsion, then, represented a dramatic reversal for the church at Rome. While previously issues had surrounded the integration of Gentile Christians into a community of Jewish character, now the church had been function as a community of Gentile Christian believers for a period of years, and the challenge was reintegration of the returning Jewish Christians. This represents the primary purpose and theme of the Epistle to the Romans: the integration of Christians in Rome from Jewish and Gentile backgrounds into a single community. As St. Paul’s argument moves through chapter 8 of Romans, he reflects an awareness that this reversal being experienced by the Roman Christians was observable throughout the world’s Christian communities at the time. Though St. Paul is always clear that Jesus is the Jewish Messiah and the fulfillment of the Hebrew scriptures, the reality was that the greater part of the Jewish communities to which he had preached the Gospel had not accepted Jesus as the Messiah. Further, in many cases and as an overall trend, it was the Gentiles, especially these God-fearers but including even outright pagans, who were coming in large numbers to faith in Jesus Christ, and therefore coming to comprise Christian communities in every city. How, then, to understand the rejection by the people of Israel of the promises made to them by God, and the reception of those promises instead by Gentiles. The surprising element is not that the Gentiles have come to be included in those promises, as this was prophesied throughout the Hebrew scriptures, but that all but a remnant of the Jewish people seem to have been excluded from the fulfillment of those promises. It is to answer this question that St. Paul draws our attention in Romans 9:10-13 to the lives of Jacob and Esau in the book of Genesis. By coming to understand the themes of their lives, and the lives of the nations, Israel and Edom, named after them in the Hebrew scriptures, it is possible to read St. Paul in these chapters and understand what he is saying about the then present situation in the Roman church. St. Paul quotes two texts in referring to Jacob and Esau. The first is from the book of Genesis, and concerns the two human persons, Jacob and Esau, the twins born of Rebekah. Genesis 25:23 states, as St. Paul cites it, “the older shall serve the younger” representing a reversal of the normal order of things, in which the firstborn would have inherited and led the father’s household. Even in Genesis 25 the eventual nations descended from these individuals is in view, but in the second text quoted by St. Paul this is even more clear. Malachi 1:3 says, “Jacob I have loved, Esau I have hated.” Malachi prophesied in the 5th century BC, well over a millennium after the lives of Jacob and Esau, and is very clearly speaking of the reformed Judea under Persia and the nation of Edom. The natural reading of the stories of Israel and Edom would have been to see Jacob as referring to the Jewish people and Edom as representing the Gentiles, yet St. Paul, mirroring the inversion which has taken place in the Roman community, reverses this. For St. Paul in Romans 9-11, the Israel of God is the believing remnant of the Jewish people and the Gentiles who have been grafted into that community, while the unbelieving Jewish community is represented by Esau. It is Esau who is the firstborn son of Isaac, though only by a matter of moments (Gen 25:25-26). As the firstborn, he was the recipient of all of the promises of God which had been made to Abraham, and then inherited by his father Isaac. He has also inherited the commandment of the Lord to Abraham to walk before him and be righteous (Gen 17:1). As St. Paul argues in Romans 3, the means of this righteousness which God commands is faith (21:25). For Abraham and his immediate sons, this faith was in the promises of God which he had received. This promises were a gift of pure grace, nothing compelled God to make them to Abraham. But for Abraham to participate in these promises, he had to believe that they were true, and if they were truly believed to be true, this would reshape the entire way in which he lived his life. The most notable example of this, of course, was Abraham’s willingness to uproot his entire extended family and household from Ur and travel across the fertile crescent in the belief that God would fulfill his promise and give him a land in Canaan (Heb 11:8). As Isaac’s firstborn, Esau was the chosen recipient of these promises and the associated command. But in Esau’s early life, we see Esau’s unbelief displayed. Because Abraham believed in the promises of God, it was critically important to him that Isaac have a wife of his own people, as he would be the father of nations. He goes out of his way to secure Rebekah for him, Isaac’s relationship with Rebekah is monogamous, and we are told in particular that he loved her (Gen 24:67). We see, by way of contrast, that Esau takes for himself two wives, both of them Hittites, and thereby grieves his parents (Gen 26:34-35). While this shows a lack of seriousness about the promises of God, there is an even more dramatic case. Esau takes the promises of God so lightly and considers them of such little value that he is willing to trade them for a single meal (Gen 25:34). Esau was the chosen recipient of these promises, but he fell away because of his unbelief in the truth of them. By his willingness to use treachery to lay hold of them, Jacob shows that whatever else might be said about his character, he places high value on these promises, and believes them to be true. He receives the birthright through belief. The subsequent narrative of the lives of the twins focuses on God’s dealings with Jacob, whom he renames Israel in honor of his continual wrestling with him (Gen 32:28). 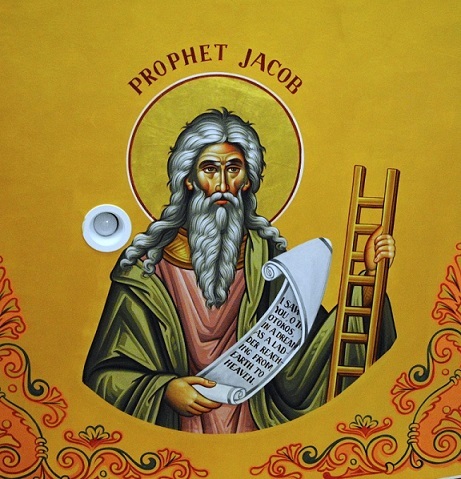 Jacob was not only the second born, but had grown wild, and lived his life conning and being conned through trickery. God, through his grace throughout Jacob’s life transforms him into Israel. But what of Esau? Esau does not disappear from the story, nor is he rejected by God. Neither, by the way, are his descendants. Esau went to live in the land around Mt. Seir, which was a part of the land promised by God to Abraham, his grandfather. There, through Ishmael’s daughter, his third wife, Esau made an alliance with Ishmael’s extended family and drove out the inhabitants of that region, which would later become the land and nation of Edom, Esau’s other name based on the ruddy hue of his complexion (Deut 2:12). At the end of Israel’s wilderness wanderings, they came to the region of Edom. When they arrived, God warned them not to attack the Edomites, because God would not give to Israel even a foot of the land of Edom (Deut 2:5). This is because, God says, he has given that land as an inheritance to Esau and his descendants. Their conquest of the land of Seir is directly paralleled with Israel’s conquest of Canaan (Deut 2:12). The author of Deuteronomy goes so far as to call the people of Edom their brothers (Deut 2:8). According to the epilogue to the Greek version of the book of Job, Job is to be identified as Jobab, the grandson of Esau. When Malachi announces judgment on Edom, it is judgment for that nation’s sins and apostasy from true worship, parallel to the judgment of the exile which had fallen upon Israel. Chief among Edom’s sins is not coming to its brother Judah’s aid against the Babylonians, but instead gloating at their defeat. The ending of Esau’s story, however, is not only the destiny of his descendants. He returns in the story of his family to meet again with his brother Jacob. Jacob is terrified that Esau will kill him on sight, after Jacob used treachery to lay hold of Esau’s birthright, and so sends his wives, children, and belongings ahead to greet Esau first. When Jacob finally encounters Esau, what he receives from him is not violence or vengeance, but forgiveness and grace (Gen 33:4-11). This display of warm love and forgiveness shows that the faith that was lacking in Esau in his early life had come to him in his later years. True joy and blessing come when the brothers reconcile to one another and dwell in peace. There is nothing in the Hebrew scriptures to indicate that Esau at the end of his life was a wicked or unjust man, an unbeliever, or a recipient of anything but blessings from God. In the story of Jacob and Esau, we see all of the themes which St. Paul will bring to bear in Romans 9-11. Themes of unbelief and faith. Themes of gloating over a fallen brother. Themes of election and the sureness of promises, and the forfeiture thereof by individuals. Themes of God’s continued faithfulness despite human sin. Themes of God giving undeserved blessings to his people, and through his people to the entire world. Most importantly to understanding the culmination of this passage in 11:25-36, we see that true blessing comes in God’s timing through reconciliation and unity. God uses even human unbelief and disobedience to bring about blessings of mercy and grace. Reconciliation between Jews and Gentile Christians in one body in Rome would bring that community blessing, and the greatest blessing is yet to come when Jew and Gentile are reconciled in God’s kingdom. I am learning so much from this blog. Every entry has been wonderful. The incomplete teachings, lingering questions, vague inklings and even downright false doctrines that I sat with for years are literally falling away as I come to a fuller understanding of the scriptures, old and new, in unison. Thank you so much, Father. Thank you Father for going into detail on the story of Jacob and Esau, and for the explanation of Saint Paul’s use of it in Romans. I was born, raised and very involved in the protestant church until a couple of years ago. I was always troubled by this story of the two brothers and felt that much was missing in what I had learned. This gives a more complete picture than what I had previously and gives me much to think about. What a joy it is to continue learning about the Christian faith! It has been my favorite thing about becoming Orthodox. I do not regret for a moment my protestant background, but Orthodoxy has expounded upon it exponentially. This post is amazing. I work at a large evangelical university and many of my co-workers are Reformed. Romans 9-11 is something I often hear used to support the idea of unconditional election. Reading something from an Orthodox perspective is refreshing. Thank you so much, Father Stephen. I look forward to reading more. Thanks so much, Father Stephen. It is a relief, a pleasure, yes…it pleases every sense of the rational mind to finally be shown how to rightly interpret St. Paul’s letter to the Romans. Because to read St. Paul’s words in their proper context simply makes sense. We were taught, exactly as you say, that Romans was a treatise. It was hailed as the Book that pointed to everything you needed to know in condensed form about salvation, justification, and sanctification. Interestingly, the book of Hebrews, we were told, was “very difficult” to understand. I think because Hebrews does not square with certain teachings about election, especially eternal security. The manner in which you explain the ancient world back in the very beginnings of Christianity – the expulsion of the Jews and their return, the communal worship of Jew and gentile in synagogues, the judiazing , and St. Paul’s missionary work in spreading the gospel in a way in which his hearers would understand – enables us to see beyond history to peer into the actual lives of our ancestors. This is the beauty of tradition. It keeps the ancient Faith alive. This is the first time I have EVER encountered “Jacob I have loved…etc” exegeted in its original context from… Malachi!? I didn’t even know that was where the quote was from! Thank you for this wonderful explanation of what has been a struggle for me to resituate since converting from being VERY reformed to Orthodoxy. All of your articles have been so helpful to me, using a familiar style of scholarship but putting things together very differently than I am accustomed to. It makes me wonder if I may ask what your background is? You speak to my ex-reformed soul very well. Thank you for this wonderful explanation, not only about the application of the OT periscope to Romans, but also for the illustration of reconciliation. Fr. Stephen, I’m really enjoying your writing/blog. Thanks for making and taking the time to produce them.